Meghan Markle’s stepsister Samantha Grant is promising a juicy and explosive bombshell about Meghan and her hidden personality. She promised to hold nothing back as she is planning to write a tell-all book about her relationship with Meghan. Samantha told ITV’s Good Morning Britain that she’s willing to show the world a different side of Meghan that they’ve never seen before, adding that it will be a huge “surprise” for everyone, including her boyfriend Prince Harry. At this point it’s safe to say that Samantha is already riding on her sister’s royal coattails. She’s talking to anyone who is willing to listen, adding that she’s got juicy secrets about Meghan’s past that she’s ready to share with the world. For Meghan though, this is the last thing she wants to hear. But at the same time she knows there’s no way that she can stop Samantha from talking to the press. Samantha is going to keep talking, regardless of what anyone else has to say about it. And if there’s one person who knows this feeling all too well, it’s her future sister-in-law, Kate Middleton. Her uncle Gary Goldsmith just made headlines for allegedly assaulting his wife during a bust up outside of their home in London. And for the Duchess and the rest of the Middleton family, there’s nothing that they can really do. There will always be family members that will publicly embarrass them, no matter how hard they try to ignore them. 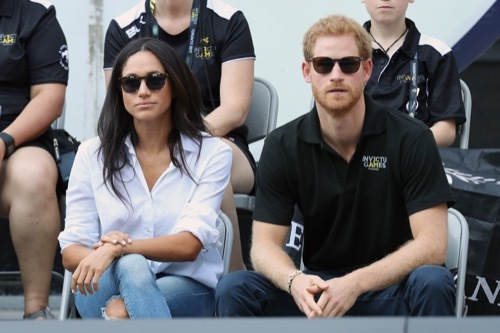 Unfortunately, Meghan isn’t even a member of the British royal family and she’s already dealing with the same thing. She knows that it’s only going to get worse after she marries Prince Harry. 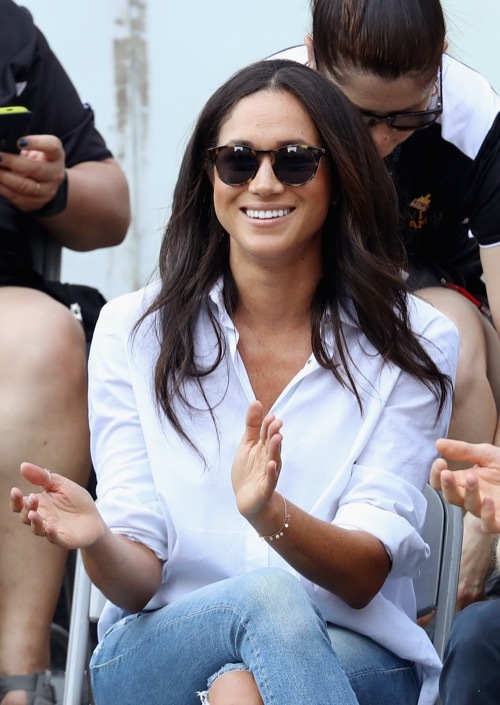 So far Meghan Markle herself has not made any comments about Samantha Grant’s threats, although it’s doubtful that she will. She doesn’t want anything to do with Samantha or that part of her family. In the meantime, don’t forget to check back with CDL for all the latest news, updates and spoilers on Prince Harry and Meghan Markle along with the entire royal family right here. Camilla Parker-Bowles Sees New Royal Ally in Meghan Markle: Two Outsiders?